One of the reasons I enjoy going to Jamaica so much is that I have no cell phone reception. Yes, you read correctly – I just openly declared that I do enjoy being without cell service from time to time. Don’t get me wrong, as soon as we pull up to the gate of my family’s home I whip out my phone to connect to the wifi – but in hindsight I truly enjoy my phoneless time! 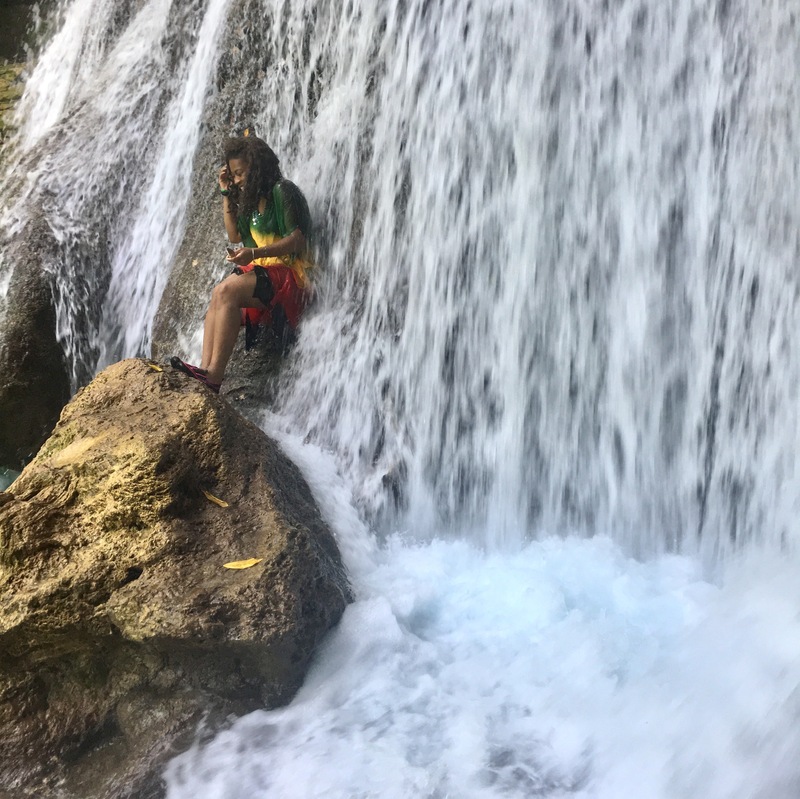 Being a mini-nature freak (I say mini because it’s not like I am out here hugging trees) I love checking out Jamaica’s natural beauty and just being able to live in the moment. When I was there earlier this summer I got the chance to head out to the east coast and visit Reach Falls in Portland. Rushing falls leading to sparkling turquoise pools, Reach Falls has a little for those who want the excitement and some for those who just want to take it easy. Being the thrill seeker that I can be – of course I opted for the adventurous route. My life quickly flashed before my eyes as I was trying to emerge on the other side of the gushing water. Note to future self: make sure you know how deep the water is on the other side of the cave. Second note to future self: avoid emerging through waterfalls with large sharp rocks on the other side. All in all it was a beautiful day spent with family at the falls and I would do all again in a heartbeat – despite the slightly life-threatening experience! Looks like lots of fun, great photos + I love your outfit! Also, I think it is important for people to take time away from their screens. I feel like nowadays everyone is on their phone more than outside and with nature and even when going outside, most people are busy on their phones and this takes away from many great moments and the whole idea of living in the moment and enjoying things! Thanks girl! Excited to check out your blog!